“Professor Ramsey has put most of it online. (one of the samples is missing but the Shroud data is there). 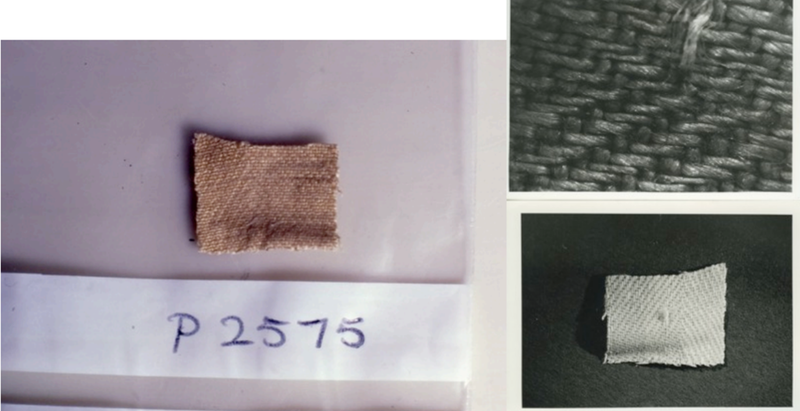 “If you look at the whole sample of three of the tested cloths p2574_5; p2576_5 and p2575_8 you can see the first three samples. But the last one (I suspect it is Louis’ cloak) is missing. Just to say that Professor Ramsey has posted some fascinating photos of the sample online. They are not the official University photos but they add substantially to Shroud knowledge. In particular the Shroud of Turin sample shows the underside/ reverse of the cloth. Has that ever been photographed before? I don’t remember seeing it. (operating with a UV control very short to avoid damage). Is it possible to check all the samples under UV light? What are the results (UV versus Vis) from all the samples? I don’t think any UV photography was done on the C14 samples specifically, and they are now mostly not in existence. However the Arizona reserve bits, of which there is a least one and ought to be two, could be photographed. Could Barrie do it?